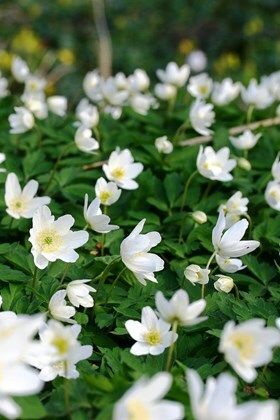 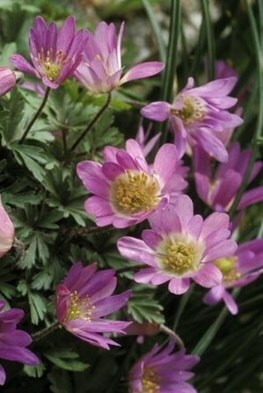 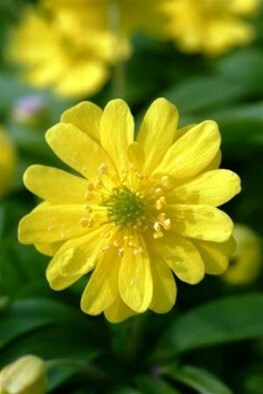 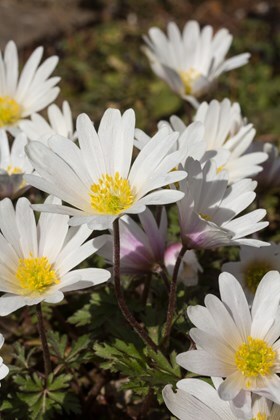 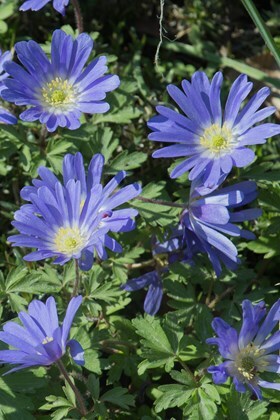 The Spring flowering anemones take over from Crocuses in late March for their turn in the limelight. 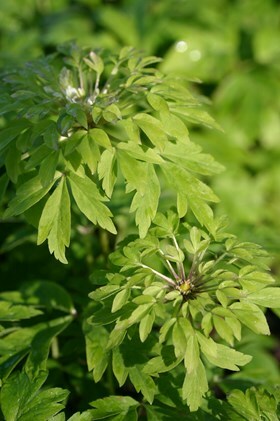 The weather is on the turn and the brighter light is accentuated by the wet foliage from scudding showers and windy conditions. 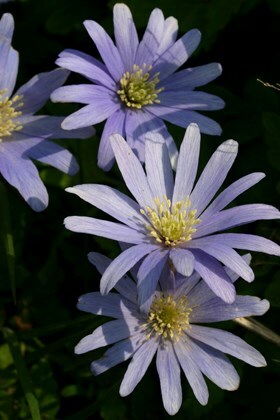 Anemones love it !